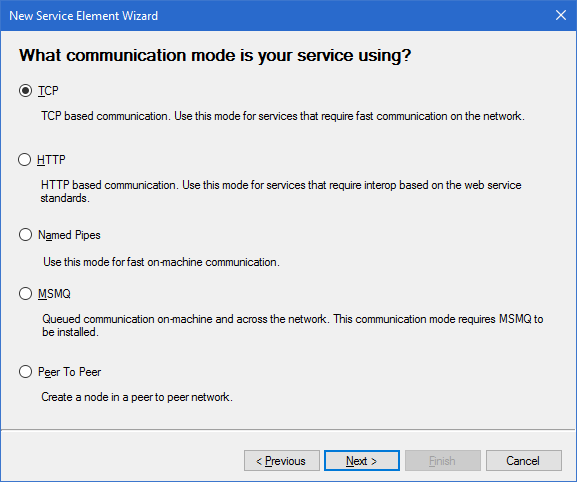 As we know WCF supports various hosting options. Self Hosting is one of them. WCF allows hosting a service in an application such as Console Application. 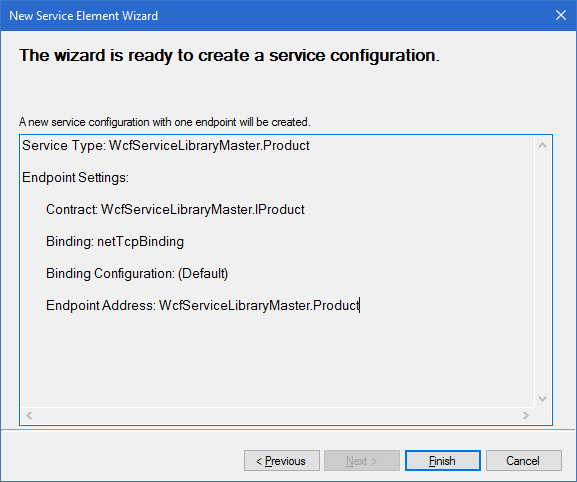 Create a Console Application Project to host a WCF Service. 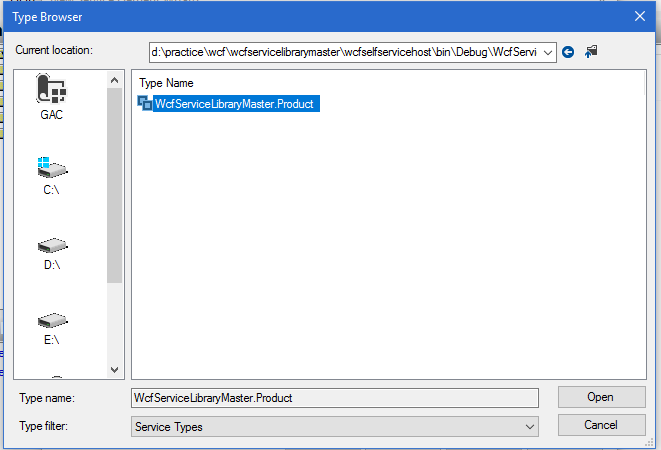 Add WCF Service project Reference in this Console Application. 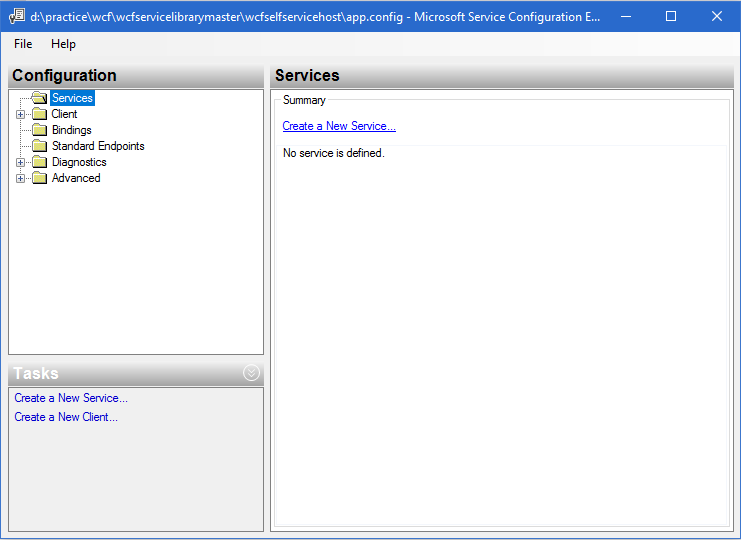 Rightclick on App.Config and select Edit WCF Configuration. 12. Click on New and add 2 address. 15. 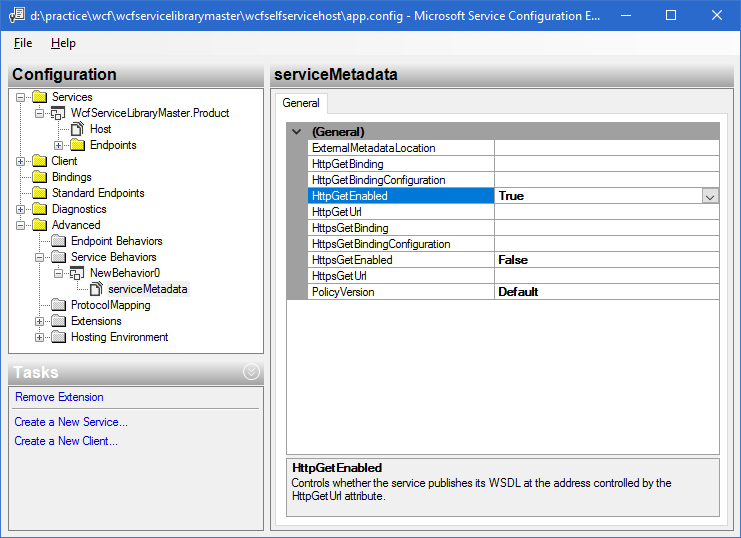 Select serviceMetaData from left side and set HttpGetEnabled to True. 16. 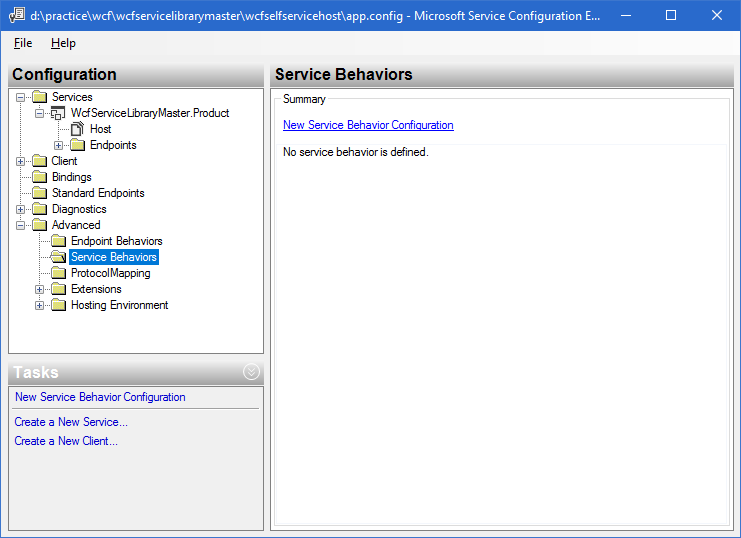 Select Service name from left side and select BehaviorConfiguration from drop down. 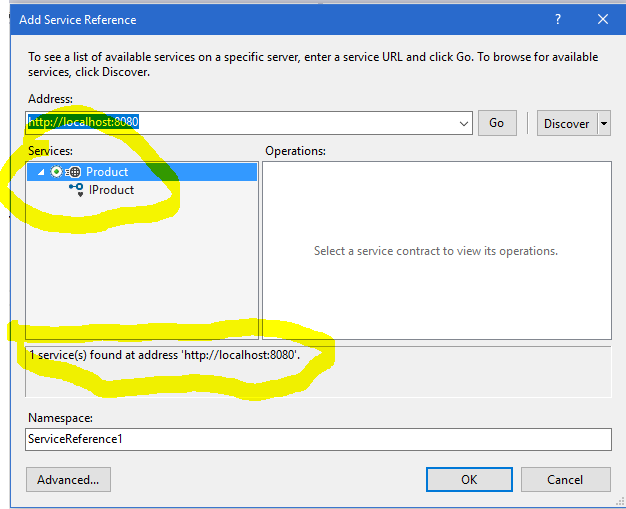 Refer highlighted section in below screen. 17. 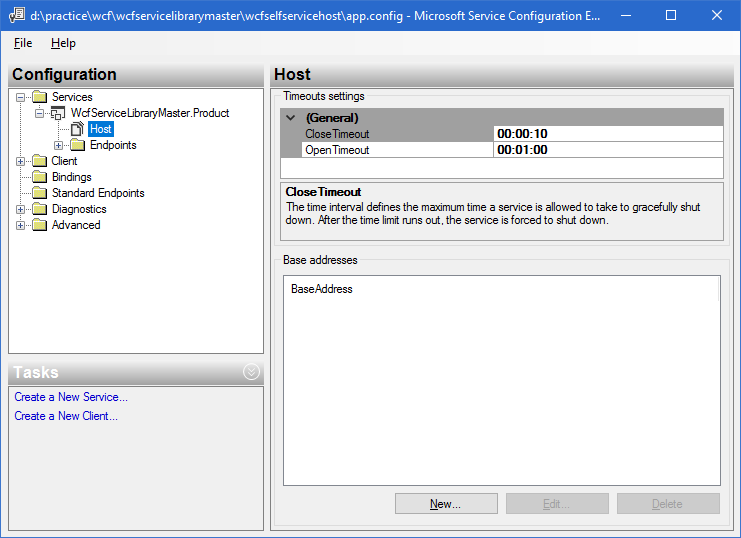 Now close the WCF Config Editor, and it will prompt to save. Save it. 18. 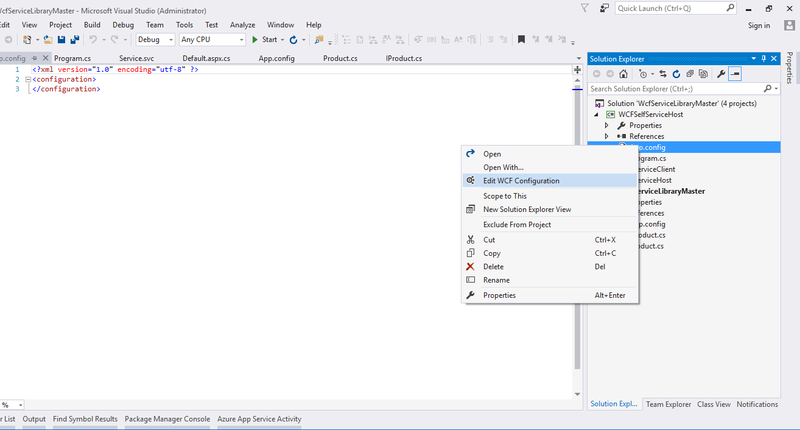 Now your new App.Config file will look like this. 20. 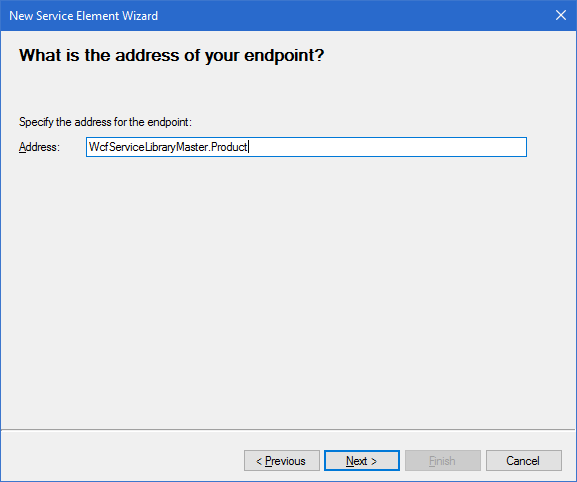 Now create a client to consume this WCF service. 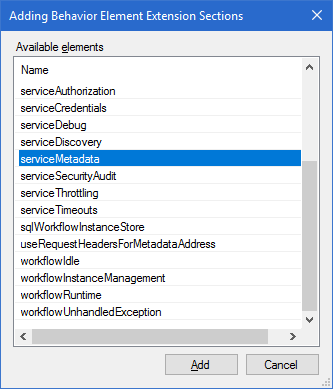 Add a service reference. 21. Seems host is not running. Let’s start the host by running the project. 22. 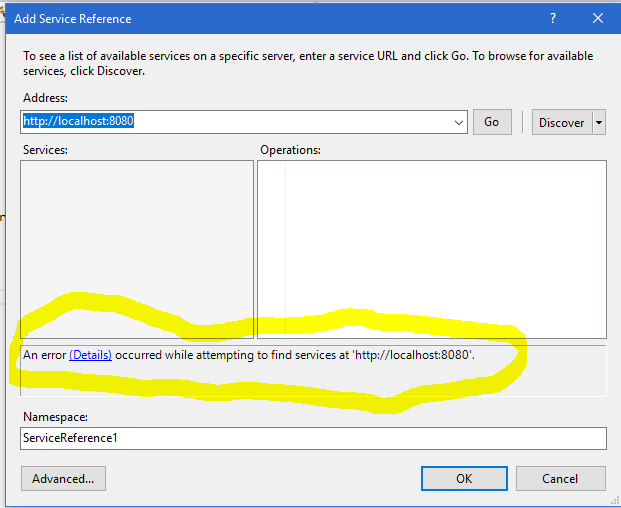 The host is running now; let’s try to add service reference once again. 23. Now you can see, service was found. 24. 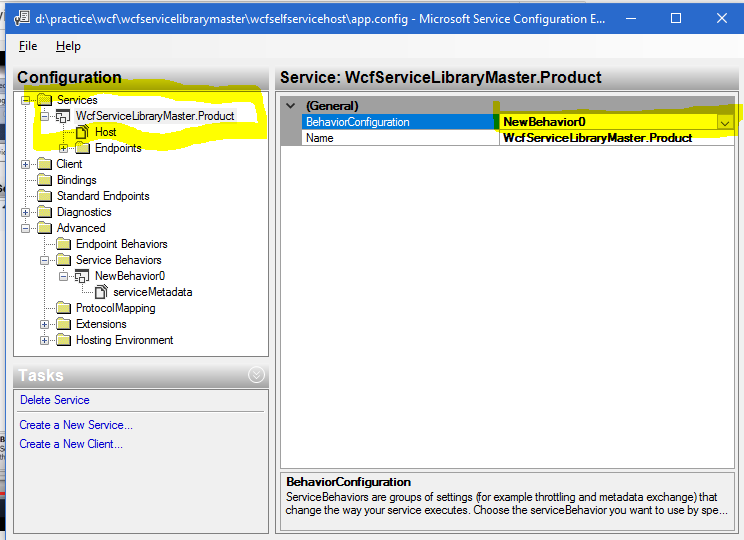 Change the namespace to WCFSelfServiceRef and write below code. 25. Execute the code and you will see the output like below.